This accommodation was recently built. 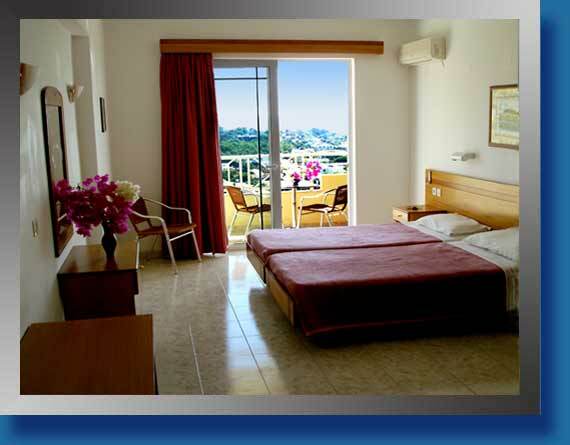 All 24 studios are spacious twin bedded, and have private balconies with views of the village Pefkos & the sea. Each studio provides a private bathroom with a bathtub, a fully equipped kitchenette, refrigerator, kettle, safety deposit box & Air-condition. Maid service is 6 days a week except Sundays. The accommodation also provides a large parking lot. 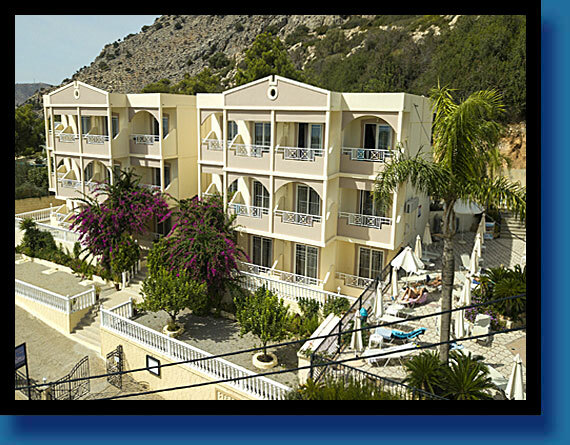 On the side of the building as shown in the photo, is situated a large swimming pool & a children's swimming pool, with sun beds and umbrellas provided charge free. There is also a pool bar (snack bar) open from 08:00 am until 01:00 am everyday serving food and drinks all day. At the pool bar there is satellite TV, billiards, and a PC with internet access.